Discussion in 'Rebuilds and restorations' started by Turn & Burn, Feb 9, 2019. My shell is just about ready for paint and it’s going green! Possibly Datsun 113 or Skoda Rallye green. Had anyone had chance to compare the 2, or does anyone have one that they can share pics of? I’ve never seen a 113 Green Datsun in the flesh, so it’s a bold step! 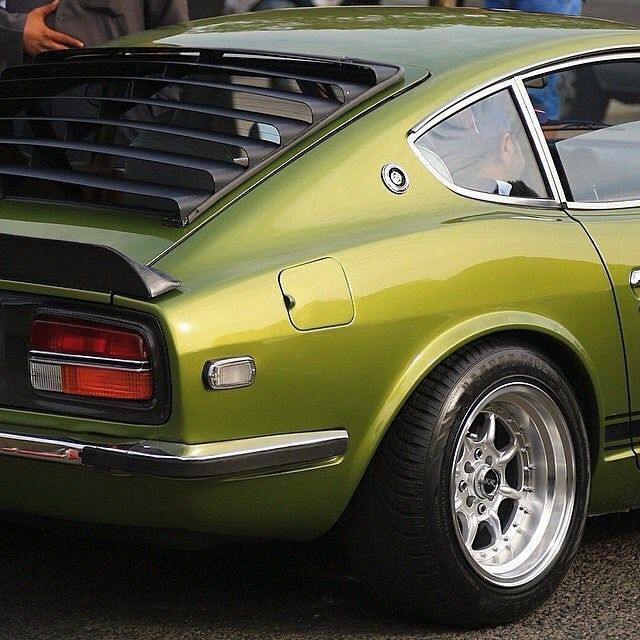 I’m also drawn to green for the S30, looking at both those two colours I would say the Skoda green but what do I know! Car looks fantastic, and to be honest so many colours look awesome on these cars. I started with the Skoda Green and then recently rewatched the Gas Monkey 280z build and that’s 113 and looks awesome. Difficult decision ahead! The original green is a great choice. It’s be nice to have the correct butterscotch interior with it. I do like that 113 green. I was looking at a 260 in the US before I bought mine that was that colour. And yes to he Butterscotch interior, too. What colour was the car originally, do you know? I do like that 113 green. I was looking at a 260 in the US before I bought mine that was that colour. And yes to he Buterscotch interior, too. Originally purple, very 70s. But white by the time I got it. The purple is cool but just not my preference. Or perhaps a flatter shade ? The B310 for me, that looks very close. 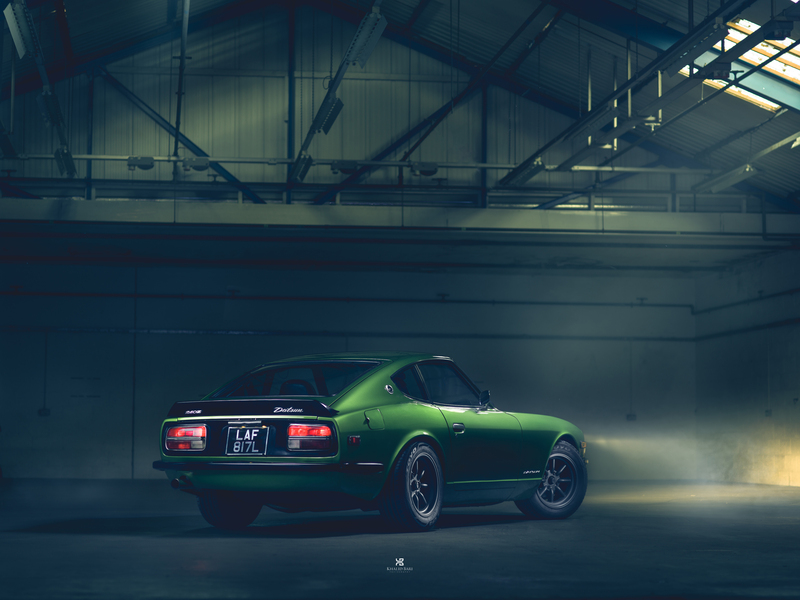 Have u had a look at the Manhattan project 240z? Saw this green and thought I would share it although I don’t know if it’s the colour your after I liked it. Nice!, suits that car well, but a bit subtle for me, bit more bold required! audentes Fortuna iuvat........so I’ve heard. I'm a big fan of that colour! Not really any around in the UK that I've seen out and about... A Z should be in bright and bold colours imo. That’s it! Who owns that car? Anyone know? That looks a bit more of a modern colour than straight 1970s Datsun 113! Might be the lighting or a bit of post-production in PShop to make it pop a bit. I think its more a case of photoshop Mike, there's other images and all of them have been seriously editied in post production from what I've seen. https://zclub.net/community/index.php?threads/green-lhd-240z.20594/page-2 - there's a pic of the original 113 in the spare wheel area on one of John's cars. Nice work folks, that’s a fantastic car, it is 113 green but John says he’s lifted it with a touch more metallic which I thought I may have to do.